Posted July 6, 2018 by Meir Sivak & filed under Uncategorized. Massive arched windows give interior spaces a Great Room ambiance. New York City’s skyline is gleaming more than ever—perhaps ironically, at a crossroad of The Big Apple’s modern transition. Shimmering skyscrapers are sprouting up all over midtown and downtown Manhattan. The more glass skyscrapers we see, the more we’re reminded of old New York reflecting off them like mirrors. 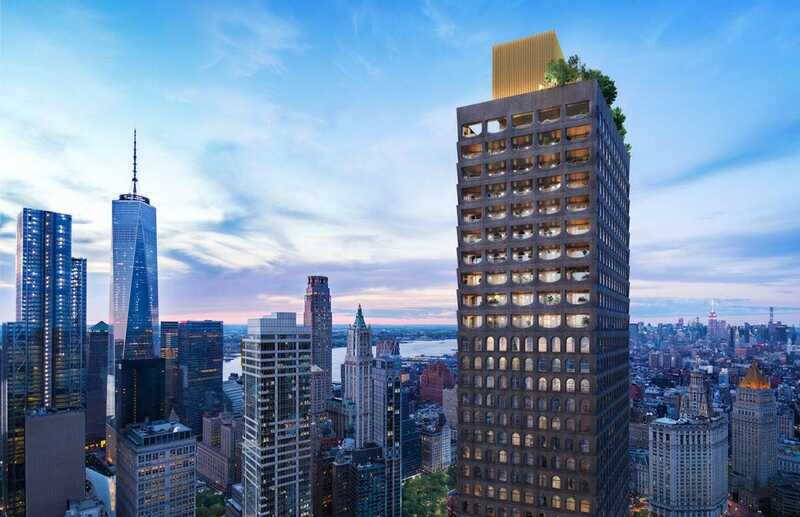 But don’t count on architect Sir David Adjaye to play follow the leader with his latest project, an atypical skyscraper called 130 William. It’s a refreshing countertrend. 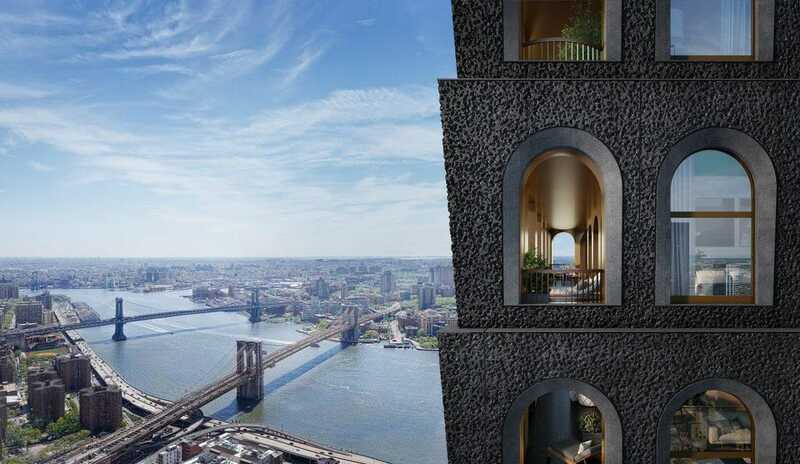 Sir David Adjaye’s first residential skyscraper pays homage to New York’s architectural heritage. Adjaye is on a roll—a creative groove that architecturally rivals The Beatles, Stevie Wonder or Prince. Music expresses “ideas and emotions in significant forms through rhythm, melody, harmony and color.” Adjaye’s culturally significant projects could be described similarly—including the bronzed Smithsonian Institution’s National Museum of African American History and Culture in Washington D.C.; the contemplative National Holocaust Memorial and Learning Centre in London; and the exalted National Cathedral in Accra, Ghana. Like influential music, Adjaye’s genre-redefining structures compel you to reflect, marvel and, at times, even explore your soul. Knighted by Queen Elizabeth II and named one of Time magazine’s 100 influential people of 2017, he’s also a leading architect of his generation who continues to up the ante—changing city landscapes in thoughtful ways. 130 William towers 800 feet over downtown Manhattan. 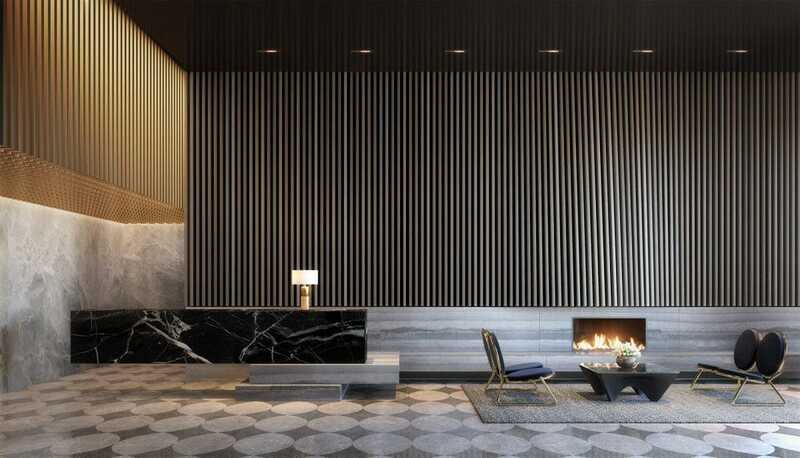 With Manhattan’s 130 William, his first residential skyscraper and first high-rise in New York City, he scores another surprise hit. 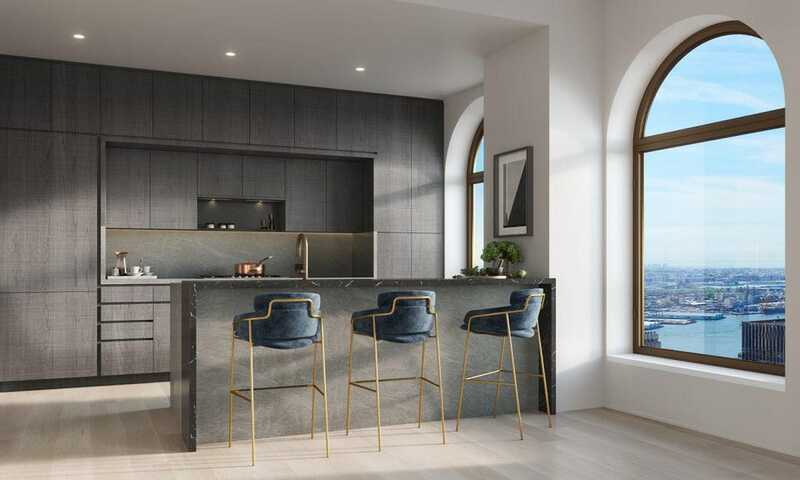 The downtown condominium’s striking design is a nod to Manhattan’s architectural heritage—a contemporary cousin to classic stonework that still rules the city skyline (for now). Contrasting today’s popular smooth glass façades, 130 William instead is a textured, hand-cast masonry tower (with bronze detailing) like those that defined New York City for a century. 130 William is located near the Brooklyn Bridge and other landmark venues. 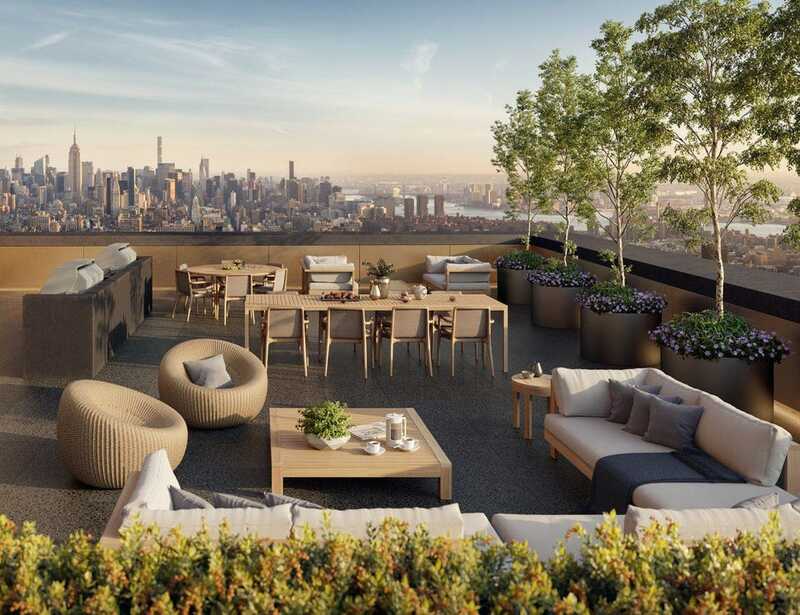 Developed by Lightstone, the 66-story skyscraper will boldly tower 800 feet over Manhattan, housing 244 residences (ranging from studios to four bedrooms) and 20,000 square feet of luxury amenities. 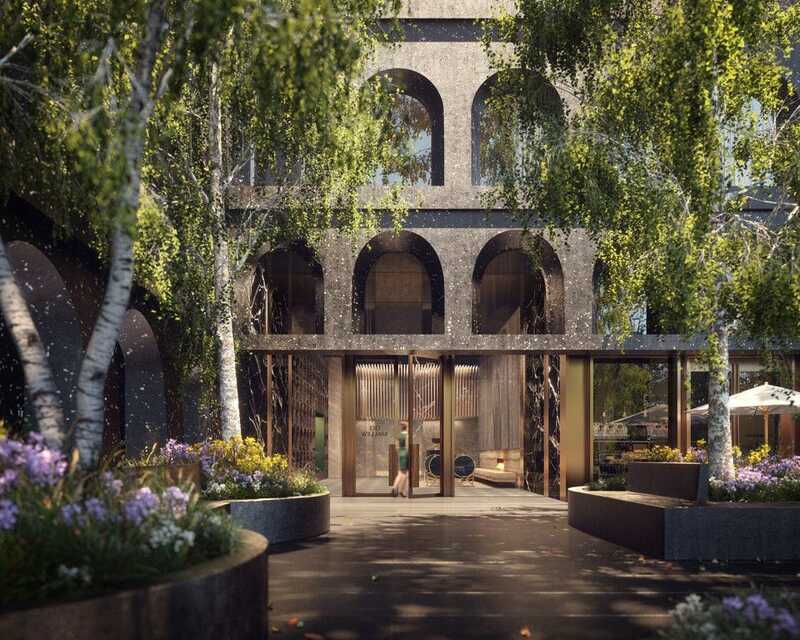 The property will include 20,000 square feet of street-level retail and a surrounding public plaza park, also designed by Adjaye. Adjaye Associates collaborated with local architect Hill West on the unique downtown project. That tribute to old New York extends beyond the 130 William’s striking bronze façade into grand interiors reminiscent of yesteryear. Its signature feature—a “silhouette of rhythmic large-scale arched windows,” inspired by historical lofts that once defined the neighborhood. This is where Adjaye decided glass works best. 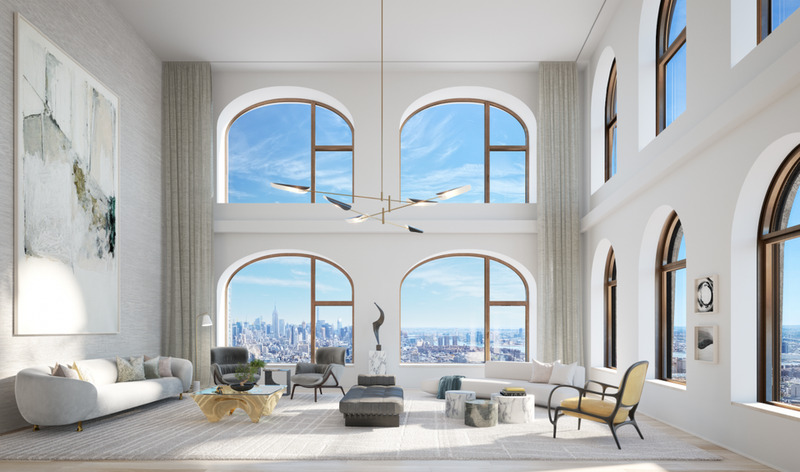 Residences display a Great Room ambiance as these massive arched windows (sometimes stacked like a Roman aqueduct) cast light and shadow beams into very large spaces—a bold, rare design for anywhere, especially New York City. High arched windows uniquely frame downtown Manhattan vistas in a rare way. 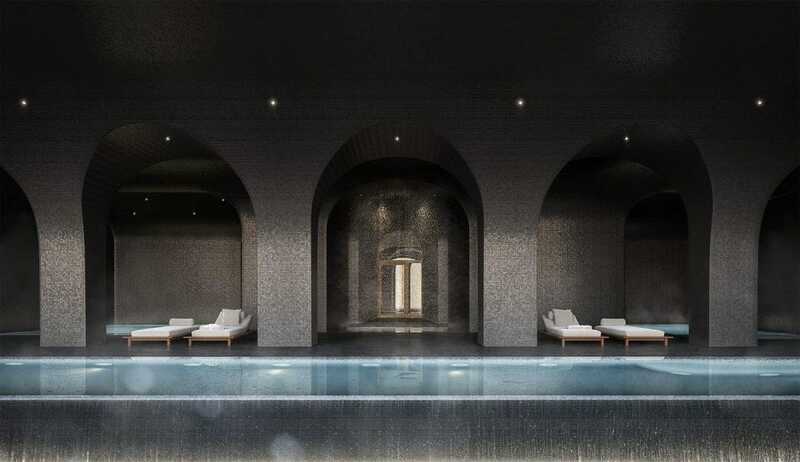 “In defining the design for 130 William I not only sought to celebrate New York City’s heritage of masonry architecture (referencing the historical architecture once pervasive upon one of the city’s earliest streets)…[but also] 130 William has been crafted to focus on the new possibilities of urban, vertical living,” says Adjaye, principal of Adjaye Associates. The property will include 20,000 square feet of street-level retail and a public plaza park. The oversized windows frame airy interiors with warm wide-plank oak floors, bronze-finished fixtures and hardware, and open-plan kitchens with high-end appliances (Gaggenau), custom Italian cabinets, stone countertops (from Tuscany), and marbled cantilevers (via Spain) for bar seating. Kitchens feature custom Italian cabinets, stone countertops and bar seating. 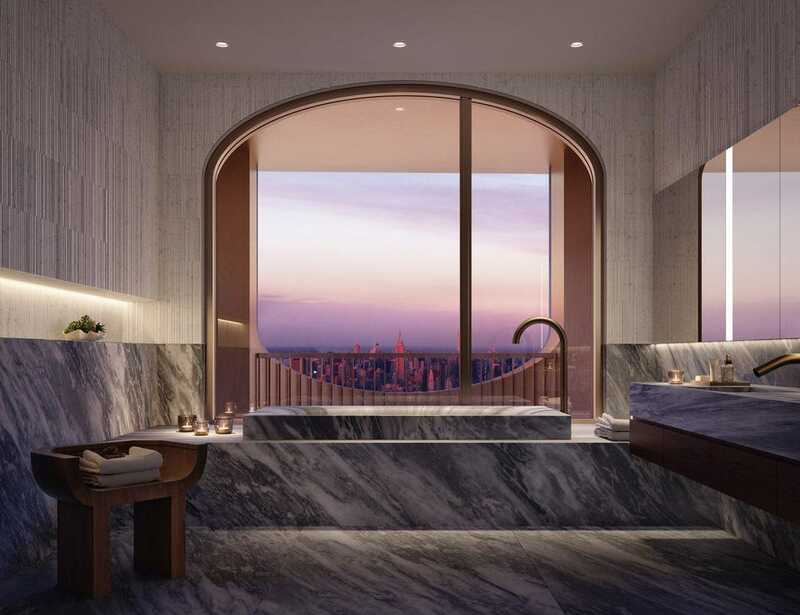 Master bathrooms crafted in Salvatori-textured Bianco Carrara Italian marble boast spacious walk-in showers, soaking tubs, custom vanities and Adjaye-designed illuminated medicine cabinets. Secondary bathrooms and powder rooms feature floor-to-ceiling Grigio Versilia marble, some bamboo textured. Master bathrooms are crafted in Bianco Carrara Italian marble. 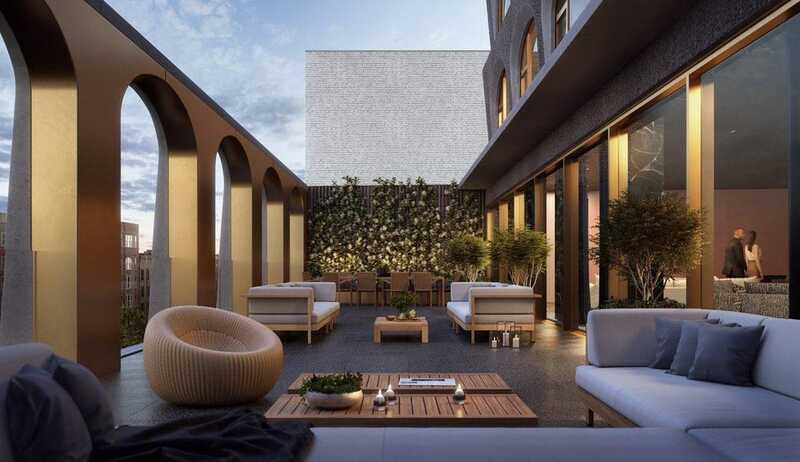 The tower’s top 10 floors house the Penthouse and Loggia Residences—large-scale homes with marble carved sink countertops and soaking tubs, and lofty 11-to-14-foot ceilings which flow into expansive outdoor terraces with sweeping vistas. 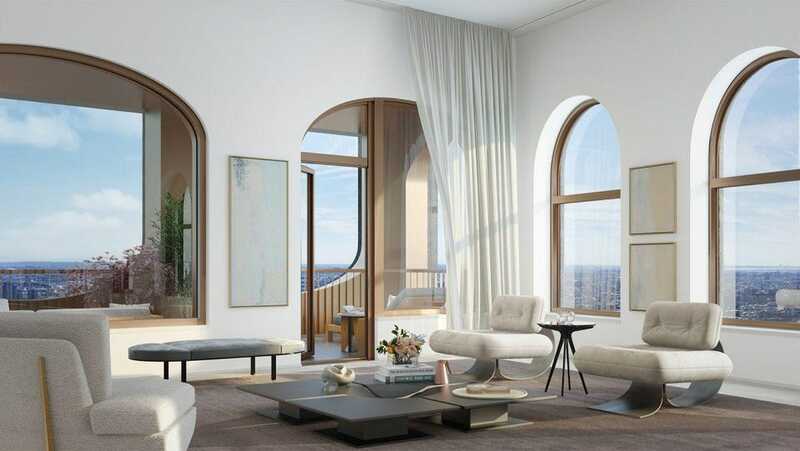 130 William’s arched Manhattan views extend to the outdoor terraces. Current pricing has studios starting at $650,000; one bedrooms starting at $1.11 million; two bedrooms starting at $1.85 million; three bedrooms starting at $2.6 million; and four bedrooms starting at approximately $5.42 million. The lobby’s design includes arch motifs. 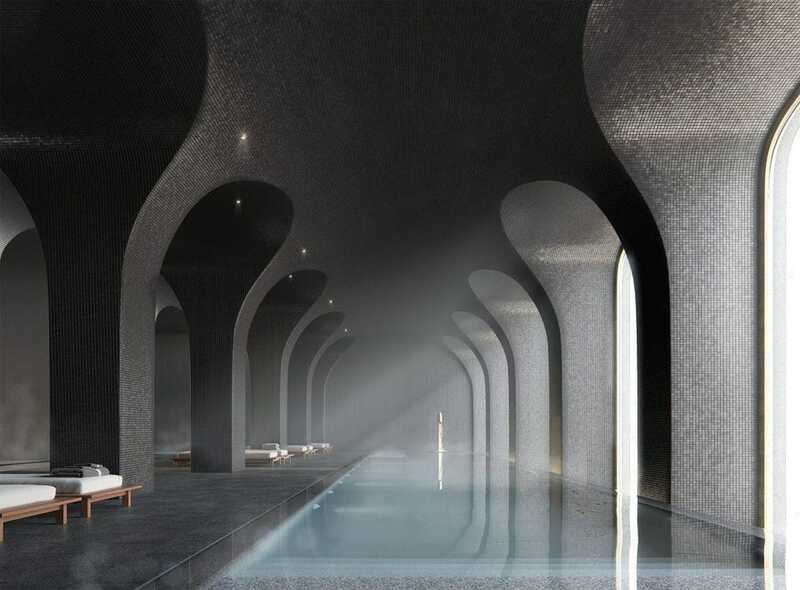 The 20,000 square feet of lifestyle amenities includes: a health club with full spa, infinity-edge swimming pool, cold and hot plunge pools, dry sauna and massage, and a top-flight fitness center with terrace, yoga studio and basketball court. Residents can also indulge in a private IMAX movie theater, golf simulator, resident lounge, children’s activity center, pet spa, and a private rooftop observatory deck (nearly 800 feet high) with cabanas (for purchase). 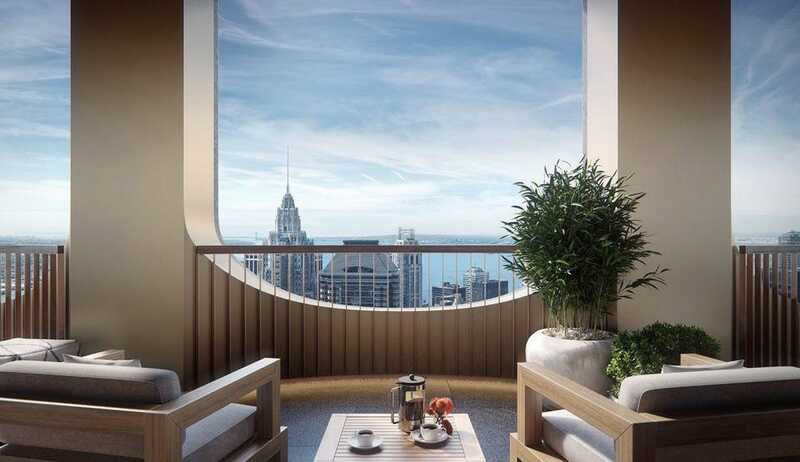 Adjaye’s 130 William will be a welcome part of lower Manhattan’s renaissance, where big name architects are injecting energy skyward—rejuvenating downtown’s skyline and spirit. The new skyscraper will be conveniently located near Tribeca, South Street Seaport, the Brooklyn Bridge, One World Trade Center, and many of the city’s elite restaurants and shopping venues (Nobu, Jean-Georges, Eataly and Brookfield Place). 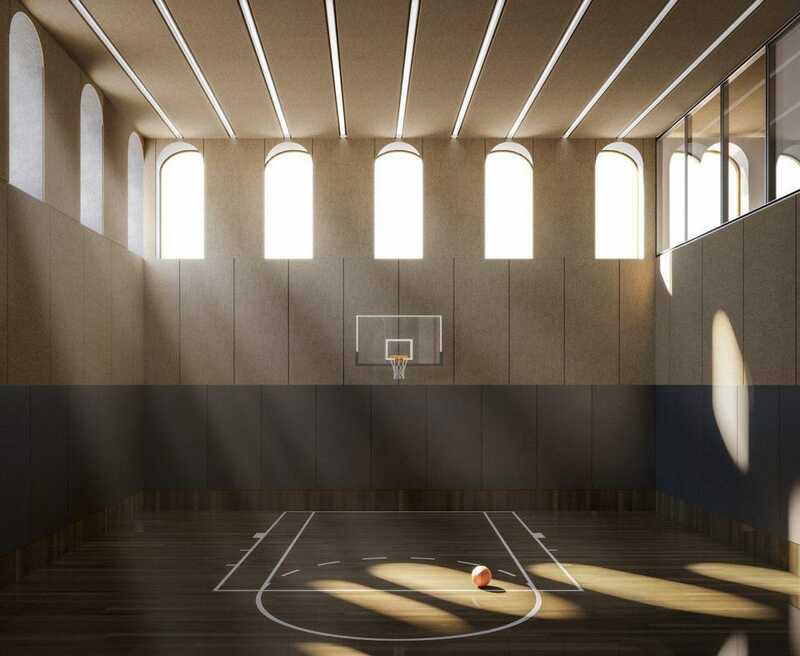 Architect Adjaye designed a residential basketball court like no other. The arched window theme carries over to the children’s activity center.